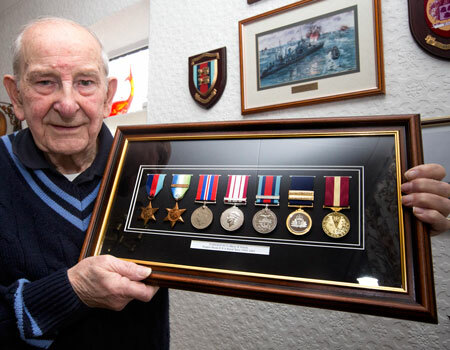 Veteran Ron Veitch, 88, from Billingham in Teesside is about to make his first visit under the Heroes Return programme and is urging other World War Two veterans to apply for funding for a first or second journey back to where they served. Ron is visiting Malta, where his ship HMS Glasgow was repaired after being bombed by Italian aircraft in the Mediterranean. Ron was a Petty Officer on board the cruiser. His most vivid memory of the war is the early morning bombardment and landings at Omaha beach on D-Day. He said: “We hadn’t been told anything, but when we first set off and saw the amount of shipping, we realised this was it. This was the invasion. “It was my job to check two boiler rooms to make sure the engines were running well. I had to alternate between the two rooms. “At 6.30am our ship opened fire and bombarded German forces at Normandy. While going between the boiler rooms I popped up to sneak a look. What an incredible sight it was. “The sea was black with ships. To the left and right of us were warships and landing craft full of US servicemen heading for the shore. They were bobbing up and down and being tossed around like corks. They must have been so seasick. We were firing broadsides and the noise of the bombardment was horrendous. With the assistance of air spotters, HMS Glasgow continued to pound targets ashore and more than 500 six inch shells were fired from the cruiser that day. 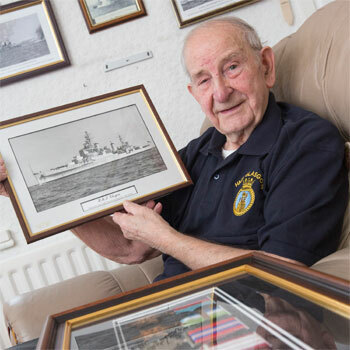 Ron’s first close brush with death during the war came a few days later when HMS Glasgow and an Allied task force was sent to the coast off Cherbourg to provide support to US Army units engaged in the battle at the French city. The naval force bombarded the German fortifications near and in the city and became engaged in repeated duels with coastal batteries. When German salvos from the outskirts of Cherbourg began falling among Allied minesweeper flotillas, HMS Glasgow with Spitfire spotters began returning fire on the German batteries before coming under fire herself. Ron said: “US army units were facing resistance from the Germans at Cherbourg and we were sent there. I was in the engine room. We could hear our guns were firing and could tell from the orders coming into the engine room that we were engaging with the enemy. “My hair was standing on end – I thought ‘we are in trouble here’. Suddenly there was a deafening explosion. We had been hit twice. Most of the lights went out and the emergency lights came on. There was a strong acrid smell of cordite and dust everywhere. The cruiser briefly broke off the engagement to assess the damage, before returning to the battle, firing on German batteries. After the battle, Glasgow underwent a complete refit at Palmer’s Yard at Hebburn on the river Tyne. 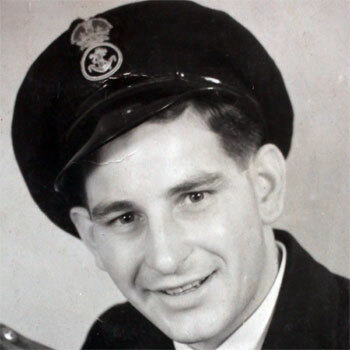 Ron experienced other battles during the war, including Operation Stonewall – a blockade against the import by Germany of seaborne goods. In late December 1943, Glasgow and the cruiser Enterprise fought a three-hour battle with several German destroyers and torpedo boats protecting the cargo ship Alsterufer. Three enemy ships were destroyed but two of Glasgow’s ships company were lost. Now, Ron is looking forward to making a Heroes Return commemorative trip to Malta, where Glasgow was repaired for damage caused by Italian glider bombs. He plans to visit the dockyard and the Rotunda of Mosta church, where a German bomb pierced the dome and fell among a congregation of more than 300 people awaiting early evening mass. Miraculously, it did not explode. My late father John Gordon Hicks (died 1979) was on HMS Glasgow during the D Day landings. Would you have known him by any chance? My late father, Eric Gordon Brookbanks, was in the engine rooms on HMS GLASGOW. He was on board on D Day, but never talked about it. My father Ben Barnes was a gunner on HMS Glasgow during the D-Day landings and suffered shrapnel wounds when they were hit at Cherbourg. He has just collected the Ushakov medal from the Russian Embassy for the Arctic Convoy runs.